Schools still teach that the Western civilization is a child of Greece. Until a few decades ago, many schools did not mention the cultural achievements of Egypt or Sumer – and many schools in Europe still pay no attention to the Inca’s, Toltecs, etc. But when it comes to the Greek and Egyptian civilisations, it was made painfully clear that the Egyptian civilization was “primitive” when compared to the cultural and specifically philosophical achievements of the Greeks. This situation is now slowly beginning to change, though the chasm between the Greek and Egyptian culture remains. Though geographically both countries are close to each other, and whereas many Greeks would later travel to Egypt, it is assumed that the Egyptians, a civilization that predates the Greek civilization by two millennia, never used that time to sail in the opposite direction. Though the ancient Egyptians had seaworthy boats – e.g. the funerary boat in the boat pit on the Gizeh plateau – the status quo is that they never sailed the Mediterranean Seas to Greece. Lamblichus wrote that Thales of Milete had to make it clear to Pythagoras that the latter had to go to Memphis, in Egypt, to study. Thales added that it were the Egyptian priests that were a veritable source of knowledge and information. Thales stated this at a time when he himself was Greece’s most famous and applauded philosopher, even though it would be his protégé Pythagoras who is currently best remembered as the “first philosopher”. Martin Bernal adds that Neith was written as “Ht” in Egyptian. This was pronounced “Ath” or “At”. This means that even in Sais, the ancient goddess Neith was addressed as “Athanait”, with the Greeks later choosing to call the “nait” ending for Neith, rather than the “Athan” for “Athena”. Such verbal gymnastics aside, it is known that the Greek writer Charax of Pergamon, in ca. 200 AD, wrote that the inhabitants of Sais referred to their town as “Athenai”. Apart from Athens, Dodona was another Egyptian idea. Herodotus wrote that the Greeks knew and stated that the Mysteries of Dodona originated in Egypt. On his travels in Egypt, the priests told him that two priestesses were abducted by the Phoenicians. One of these victims was said to have founded the sanctuary of Dodona. Herodotus thus stated that both in Greece and in Egypt, he heard repeatedly how the Greek civilization was a child of the Nile. How do scholars approach this conundrum? 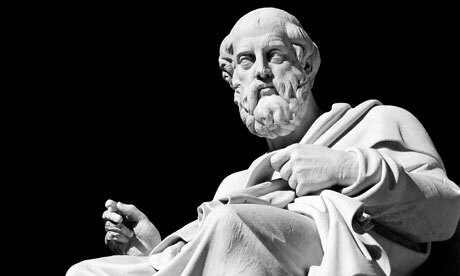 Herodotus was duly given the reputation of being a “liar” – a worse fate than Plato suffered, who is only labelled as having “imagined an ideal world” when he spoke of Atlantis. Examines the claims of Professor Martin Bernal who questions the assumption of the Europeans of our civilization placing instead the black Egyptians and Phoenicians at the center of the West's origins. Black Athena examines Cornell Professor Martin Bernal's iconoclastic study of the African origins of Greek civilization and the explosive academic debate it provoked. This film offers a balanced, scholarly introduction to the disputes surrounding multiculturalism, political correctness and Afrocentric curricula sweeping college campuses today. In his book Black Athena, Prof. Bernal convincingly indicts 19th-century scholars for constructing a racist "cult of Greece" based upon a purely Aryan origin for Western culture. He accuses these classicists of suppressing the numerous connections between African and Near Eastern cultures and early Greek myth and art. Leading classical scholars, on the other hand, contend that Bernal, like the 19th-century classicists he attacks, uses evidence selectively, uncritically and a historically to support his own Afrocentric agenda. They argue that cultural diffusion alone can't account for the distinctive achievements of the Greeks during the Classical Period. Black Athena can help students begin to distinguish between sound scholarship and cultural bias - whether inherited from the past or imposed by the present. Who created the “veil of ignorance” that guards over the separation of ancient Greece and Egypt as a scientific Iron Curtain? The answer is to be found at the end of the 19th century, and the racial situation of that era. The central question is what race the ancient Egyptians were. The relationship between blacks and white Europeans was a powerful social issue in the United States and Great Britain; in 1879, Britain ruled one quarter of the world. It was at this time that scholars began to awaken to the realization that the Egyptians possessed a powerful culture; it was at this time that Greece was identified as the cradle of western civilization. It were largely white scholars who would do anything to make sure that blacks would find no place in history… after all, it could lead to serious social consequences. Blacks surely could never be at the roots of that wonderful Greek civilization? Poe and other analysts argue that modern archaeology, shaped as it is by western thinking, cannot live with the concept that the Greek culture – and western civilization as a whole – is a legacy of black Egypt. This has resulted in almost hilarious debates as to how the ancient Egyptians could not possibly be African – or a more general attitude that seems to prevail today, which leaves their racial identity unspecified. After all, the Arab race is now the predominant race in Egypt (specifically in the north), and references such as “our ancestors” often imply that the ancient Egyptians were Arabs. The facts are vastly different and radically speak against any such revisionist thinking. The Greek city of Thebes was founded by two brothers, Amphion and Zethos. They were claimed to be the sons of Zeus, with a mortal, known as Antiope. It was a typically Egyptian concept for the king to state that he was born of god. This was purely symbolic – but it should be realized that it was symbolic for the ancient Greeks also. In 1971, Greek archaeologist Theodore Spyropoulos began his dig on the Amphion hill, which was the legendary burial place of the twins. He soon discovered a stone chamber, deep within the funerary mound. It contained jewellery, including four golden hangers in the shape of lilies… a typically Egyptian motif. He also discovered a vaulted tunnel that ran in several directions. Spyropoulos labelled it a “typically Egyptian tomb”. Further research showed that the tomb dated back to 2900-2400 BC, placing this Greek discovery as a veritable anomaly: there was no Greek civilization at this time… though there was already an Egyptian civilization. It was not the first archaeological discovery that showed such evidence. Greek legend holds that an Egyptian king Danaos landed in Apobathmi, in the Peloponnesus with a great fleet. He made himself ruler and ordered the natives to call themselves "Danaans". Homer states that the Greeks do not call themselves Greeks or Hellenes, but Danaans. Coincidence? In Graeco-Roman times, tourists made pilgrimages to Apobathmi and even went as far as to argue that the exact date of the landing can be dated to 1511 BC, using an inscription on the Parian Marble. Several Egyptian pharaohs claimed ownership over “Haunebut”, which means "Behind the Islands." The Greek portion of the Rosetta Stone text clearly translates the phrase Haunebu – meaning "the people of Haunebut" – as Greek or Hellene. And Greece does lie "behind the islands" of the Aegean Sea, when viewed from Egypt. Thutmosis III boasted that he had "trussed… the Haunebut" and struck those that lived "in the midst of the Great Green Sea" (the Mediterranean Sea). In a single year, he claimed to have collected 36,692 deben of gold from his conquered subjects – the equivalent of three metric tons – of which 27,000 kilos is specifically said to have come from the Asian provinces and the Isles in the Midst of the Great Green Sea (the Greek islands).